Reflections. What choices have you made, any regrets? What is your most cherished memory? Life’s Purpose: How do you contribute to your family/community? Where do you belong? Beliefs: What are your guiding principles? What makes you, you? So whether you want to have deeper conversations in your social circles or really want to connect with your family, How Do You See the World? from Authentic Agility Games will spark the conversation and is an ideal gift for a friend, spouse, loved one or co-worker. Authentic Agility Games as a company is looking to do good by doing right, and so a portion of the proceeds from all Authentic Agility Games will go towards supporting educational and entrepreneurial organizations that are changing the world. 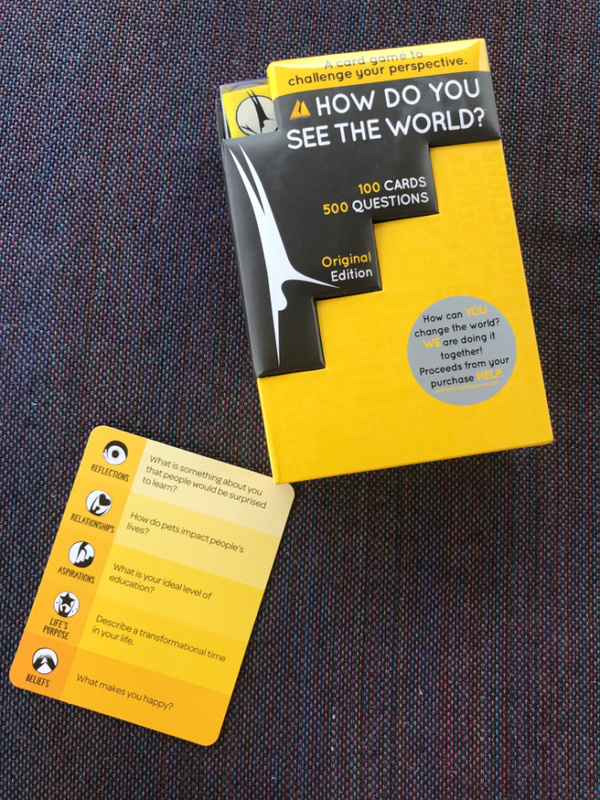 Get your own copy of How Do You See the World? today. It is available for just $24.99 on Amazon.